Michael Corbett Shannon was born on the 7th August 1974, in Lexington, Kentucky USA, and is an actor and musician, best known for his roles in such films as “8 Mile” (2002), “Revolutionary Road” (2008), and “Man of Steel” (2013), among others. He has been an active member of the entertainment industry since 1991. Have you ever wondered how rich Michael Shannon is, as of mid- 2016? 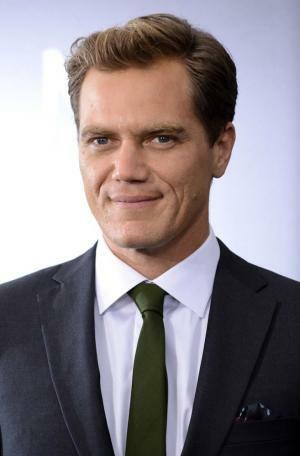 According to authoritative sources, it has been estimated that Michael Shannon`s net worth is as high as $8 million, an amount he has acquired through his career as an actor, appearing in over 70 film and TV titles. Also, his net worth has benefited from his appearances on stage, having more than 20 stage roles, in such productions as “The Killer”, The Idiot”, “Bug”, and “The Pillowman”, among others. Soon after finished high school, Michael ventured into acting, and in 1991 found engagement in the “Loving Little Egypt” stage production as Humberhill, with the Griffin Theatre Company. He continued with on stage appearances, acquiring roles in such productions as “Fun/Nobody”, and “Killer Joe” in the early 1990s. After his initial success, he expanded his talents to the screen, earning a small role in the film “Groundhog Day” (1993). Michael still stayed active through the years on stage, appearing in such productions as “Finer Noble Gases” (2002), “Grace” (2006), “The Little Flower of East Orange” (2008), “Pilgrim’s Progress” (2015), and most recently “Long Day’s Journey into Night” (2016), among others, all of which increased his net worth. After “Groundhog Day”, Michael got parts in such films as “The Ride” (1997), and “Jesus’ Son” (1999), before the 2000s. His first notable role in the new millennium was in the film “Pearl Harbor” (2001), as Lt. Gooz Wood, and the following year, appeared in the film “8 Mile”, as Greg Buehl. In 2003, he featured in the film “Kangaroo Jack”, and the same year appeared in the film “Bad Boys II”, alongside Will Smith and Martin Lawrence. He continued successfully, and up to 2005 featured in such films as “Grand Theft Parsons” (2003), “Dead Birds” (2004), and “Water”, among other films. Little by little, Michael`s name became more and more known in Hollywood, which enabled him to acquire new notable roles, and during the decade he appeared in films “Bug” (2006) as Peter Evans (also appearing in the stage production), “Shotgun Stories” (2007), and “The Runaways”, all of which added to his net worth. Since 2010, his career has gone only upwards, appearances in several roles in blockbuster films, such as General Zod in “Man Of Steel” (2013), “The Iceman” (2012) as Richard Kuklinski, “The Harvest” (2013) portraying Richard, “Complete Unknown” (2016), “Elvis & Nixon” (2016) as Elvis, alongside Kevin Spacey, “Loving” (2016), which have only added further to his net worth. He also has several films which are currently in production, including “Nocturnal Animals”, and The Shape of Water”, which are scheduled for release in 2016 and 2017, respectively. Apart from a successful career as an actor, Shannon is also known for his singing talents, starting the indie-folk band Corporal in 2002; the band has released one album, entitled “Corporal” in 2010, which sales also increased Michael`s net worth. Thanks to his skills, Michael has received numerous prestigious nominations and awards, including the Academy Award nomination in the category Best Performance by an Actor in a Supporting Role for his work on the film “Revolutionary Road” (2008), and Golden Globe nomination in the category Best Performance by an Actor in a Supporting Role in a Motion Picture for his work in the film “99 Homes” (2014). Furthermore he won the Saturn Award in the category Best Actor for the film “Take Shelter” (2012), and has more than 20 other awards. Regarding his personal life, Michael has been in a romantic relationship with Kate Arrington, who is an actress, since 2002; the couple has two children. 1 I guess if there's one thing that might surprise people about me, it's that I'm very obedient. I'm kind of like a dog. I look at acting as kind of a service industry. You're there to serve the writer and the director. I don't really look at it as an act of self-expression, like I'm going to say what's on my mind. Because you're not saying what's on your mind, you're saying what somebody else wrote, and you're doing it the way someone else tells you to do it. 2 Inevitably, what happens is that people come up to me and they're like "You've been in a movie. Which one was it?" I'm like "Well, I've been in more than one. I've been in a few." And they say, "Well tell me one. Tell me one I know." And I know if I say 8 Mile (2002) or Bad Boys II (2003), I can bring the conversation to a close. Inevitably, it's one of those two. 3 I guess there's just a reluctance on my part to think that I ever cracked the code or something. I'm sure when you start feeling that way, that's when it all starts crashing down. Humility in this business isn't just a matter of being polite, it's kind of a matter of survival. You can't ever afford to think that you're the bee's knees, because you could always afford to be better. Even what I did in Revolutionary Road (2008) could be better. You have to always be searching for something better. 4 The world has always been fragile. Just ask the dinosaurs. But we are here to live, and to love, and I think it behooves us all to enjoy our lives while we can. 5 I never wanted to be a movie star. I had no ambitions in that regard at all. I take every day as it comes. That's all. 6 A lot of my friends are still in Chicago and they are as talented and as gifted as I am, maybe more so, but they are still there. And they can't make a living out of doing what they love, so I feel I owe it to them, out of respect, to take every opportunity I get and treat it very seriously. Low budget, big budget, it doesn't matter to me. 7 When you become a father, it's hard not to feel like you are out of your league. A father is a position of great responsibility, and a child is such a vulnerable little thing, little person, and you feel this nerve forming inside you, and the thought of anything ever happening to the child is more than you could possibly bear. 8 [on gearing up to play real life contract killer and family man Richard "The Iceman" Kuklinski] That story, to me, is a really good example of... I don't condone what he did or how he lived - I think it's horrible - but at the same time I think it's interesting to try and explore how a person could live such a divided life between the love and devotion he had for his family and these horrible things that he did to make a living. People, they get wired, you know. I don't think anybody is born evil; you come into this world and things happen and you get put in situations and you have to find a way to deal. But that cruelty or that numbness that he had came from somewhere, and that's what I'm interested in. 9 [on if being viewed as a "celebrity" ever bothers him] It's strange; it's not anything I ever imagined happening to me. Maybe some people planned for it and it's like their ambition to be famous but I just always enjoyed working. I enjoy the work more than I enjoy any of the other aspects of it, but I also get a kick out of knowing that when I do work people see it and they appreciate it. I spent a lot of years doing plays and you'd be lucky if there were five people in the audience - no matter how much you're enjoying the work at a certain point you wonder what the point is. I take pride in like Boardwalk Empire (2010) and the success it seems to be having. It feels good to be a part of something like that. I think I'm more proud of the projects than I am of like my own celebrity. I'm just more proud to be associated with the projects. 10 [on what theater provides for him as an actor] When you're doing a play you really get an opportunity to examine a character in a very rigorous way; you spend a lot more time with the piece and with the character. There is a lot of repetition and you can go back every night and try to improve what you did the night before, find another layer to the performance.With screen, you get your shot that day and then you gotta surrender and walk away and hope that it all cuts together well. You really gotta be on your toes 'cause there's that period of waiting around and all of a sudden it happens very quickly - the actual shooting of the scene can happen very quickly and then you're kinda left trying to remember what just happened. 11 [on since having done both big-budget blockbusters as well as low-budget films, what appeals to him about both] Well, working on a big-budget film is very luxurious. You have everything you need and everybody in every position across the board is at the top of the craft, in terms of experience and being the best at what they do. But it also can have a rhythm that's a little slow, stop-and-start. Everything takes a really long time, there is a lot of waiting around. With a low-budget film, usually you are working with people who are building their craft, who have a lot of inherent talent. It's very exciting to be working with somebody who is "on the rise", who is just coming into their own. I've been able to work with a lot of big-name directors later in their career and I always wonder when I work with them what it would have been like to work with them on their first movie or their second movie. So that's what excited me about doing some of the low-budget films or working with somebody like [Take Shelter (2011) director] Jeff Nichols. Twenty years from now I may be able to say, "I worked with Jeff Nichols", and he maybe looked at the way Martin Scorsese is looked at now, so that's exciting. 12 [on if there's any kind of role that would or has made him uncomfortable] Yeah, there are roles I've played that have made me uncomfortable-well, different roles for different reasons. When I played the fella I played in World Trade Center (2006), Marine Sgt. Dave Karnes, that was intimidating and it made me uncomfortable because he was someone who was very, very brave and very, very strong and I felt like maybe I didn't have that inside of me. I couldn't imagine myself in his shoes and doing what he did [rescuing two police officers trapped under the rubble], and at first that was very frightening. It took a lot of time studying him and watching interviews with him and finally just accepting the fact that, you know, somebody has to play the part, so it might as well be me.In terms of being uncomfortable because of something the character did, a murder or something like that, it's certainly scary to contemplate how the mind of someone who would do something like that works. But I feel like it's important to try and understand why people do these things. I'm not condoning [murder] in any way shape or form, and I'm not even talking about forgiveness, but I think it's important to try and understand how human beings are capable of these things, otherwise how can we ever hope to stop it from happening or rehabilitate people? 13 [on if he's attracted to dark, villainous characters or playing people with serious mental issues] I don't think I set out to play villains necessarily. I try not to look at any character I play as being a villain or a hero, just more what their circumstances are, what they are trying to deal with. I mean, every character can be seen in a different light and people, in general, do some things that are considered good and some things that are considered not so good. I think we all wrestle with how we feel about ourselves and whether we are happy with what we do in our lives, and I try and look at most characters from that point of view.... I mostly just look for good writing, interesting characters that have the most depth or the most mystery or the most challenge to play, not necessarily how they are perceived. 14 [on if he feels he has an "intense" or conflicted-looking face as seemingly others do] Well, there seems to be something inherently intense about my face - I guess my bone structure. Even if I'm just sitting in a totally neutral state, not thinking about anything in particular, that [intensity] is projected on my face. I have wondered over the years why that is. A friend of mine once said it looks like I have psychic baggage, which I guess is true to a certain extent - although I have a hard time imagining anybody who doesn't. I guess it just comes through maybe more clearly on my face than other people's faces. I don't know. 15 [on what makes him smile] My daughter. She makes me smile, and my family. I think a lot of times what makes you smile is unexpected, it catches you off guard, surprises you; something may make you smile one day and it may not necessarily make you smile the next. It's a mystery what makes any of us happy and [happiness is] usually fleeting. 16 [on if he's inherently drawn to unhinged characters, or is this what people just tend to cast him in] It's probably a combination of things. When people are casting things, movies and what not, they go on impressions they have of people, you know. The impressions they have of you are based on what they've seen you in. But I also think I find a lot of differences in the characters I've played, regardless of whether they may be violent or angry or act out or, you know, have lapses of control. I still find them all pretty interesting in their own regard, and not incredibly similar. I think if you took scenes from each of the films and put them on a loop, or played them back to back, you would maybe see more of the subtle differences between them. I think part of the reason I got into this was because I'm generally in touch with the uneasy side of myself and things in general, probably. I think the world's an uneasy place, filled with anxiety and problems, so maybe the voices of the characters I play are representative of that. 17 (on filming My Son, My Son, What Have Ye Done (2009)) I certainly did a lot of traveling with this film. I went to Peru with Werner, and that alone made the experience worth it. Because first of all, I went to Peru, which I would have never done. I don't travel for fun, because I travel so much with my work; when I'm not working, I mostly want to stay home. So I went to Peru and China, to Kashgar. I saw the old city in Kashgar, which 10 years from now probably won't even be there anymore. Those are the fond memories. You know, standing up at Machu Picchu and Werner (Herzog) pointing to the various places, like "I shot the opening of Aguirre, the Wrath of God (1972) over there. When were shooting Fitzcarraldo (1982), we stayed in those shacks down there by the river." It's like his own personal playground. 18 (on his early acting days) I would work at Chicago store-front theaters that were little rooms with folding chairs. I did it for free and never really had the ambition to become a movie actor. I just loved acting and never had a desire to move to L.A. But, I was fortunate to tell some great stories and I wound up taking shows on the road to London and New York. 1 Avid longtime fan of pulp novelist Jim Thompson. 2 One of his favorite shows is Dr. Katz, Professional Therapist (1995). 3 He was awarded the 2013 Equity Joseph Jefferson Award for Principal Actor in a Play for "Simpatico" at the A Red Orchid Theater in Chicago, Illinois. 4 According to a 2014 Hollywood Reporter article, Smokin' Aces (2006) director Joe Carnahan fired Michael Shannon for being rude to a costume designer and replaced him with Chris Pine. 6 His father was an accounting professor at DePaul University and his mother is a lawyer. 7 Grandson of well-known entomologist Raymond Corbett Shannon (1894-1945). 8 Parents are Donald Sutherlin Shannon and Geraldine Hine; has one brother: Dave. 9 Attended and graduated from New Trier High School in Winnetka, Illinois. 10 Is the first non-British actor to play Superman's enemy General Zod. 11 Partner of actress Kate Arrington and father of their daughters, Sylvia and Marion. 12 He was nominated for a 2010 Joseph Jefferson Award for Actor in a Principal Role in a Play for "Mistakes Were Made" at the Red Orchid Theatre in Chicago, Illinois. 13 His favorite films are Alphaville (1965), The King of Comedy (1982), Dekalog (1989), Crumb (1994) and I Stand Alone (1998). 14 He was nominated for a 2007 Joseph Jefferson Award for Actor in a Supporting Role in a Play for "The Pillowman" at the Steppenwolf Theatre Company in Chicago, Illinois. 15 He was nominated for a 2002 Joseph Jefferson Award for Actor in a Principal Role in a Play for "Bug" at the A Red Orchid Theatre in Chicago, Illinois. 16 He was awarded the 1992 Joseph Jefferson Award Citation for Actor in a Principal Role in a Play for "Fun/Nobody" at the Next Lab Theatre in Chicago, Illinois. Sparrows Dance 2012 writer: "Sick"
The Runaways 2010 performer: "I Wanna Be Where the Boys Are"